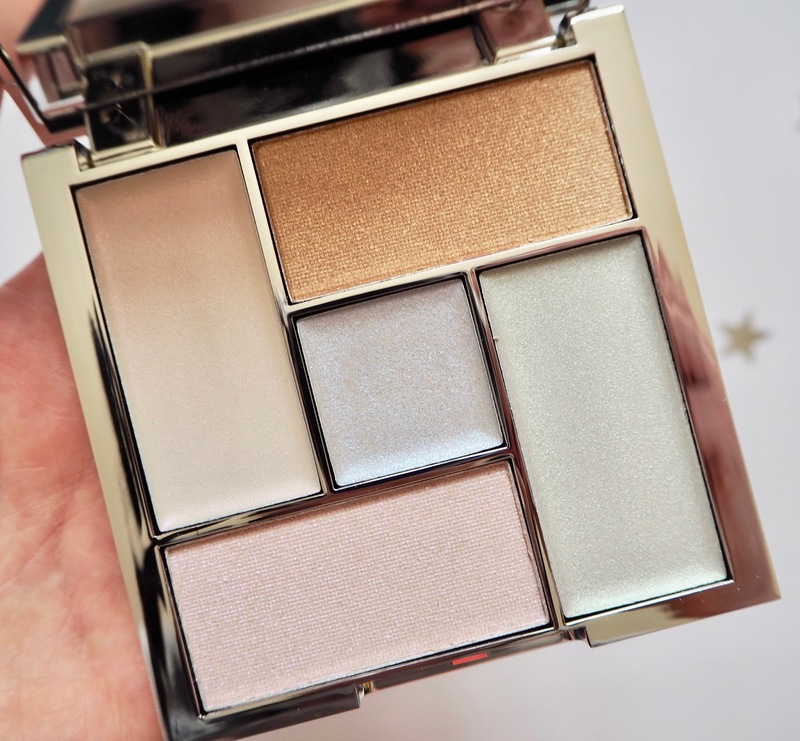 Over the past few months Sleek have upped their highlighting game and released several stunners, including my favourite- The Solstice Palette. I have been obsessed with that thing for the whole of 2017 it feels. Anyway, my point is that when I saw the Distorted Dreams Highlighting Palette I knew it had to be mine and snapped it up pronto. There's no denying that it's a thing of beauty with the blue, green and golden shades. 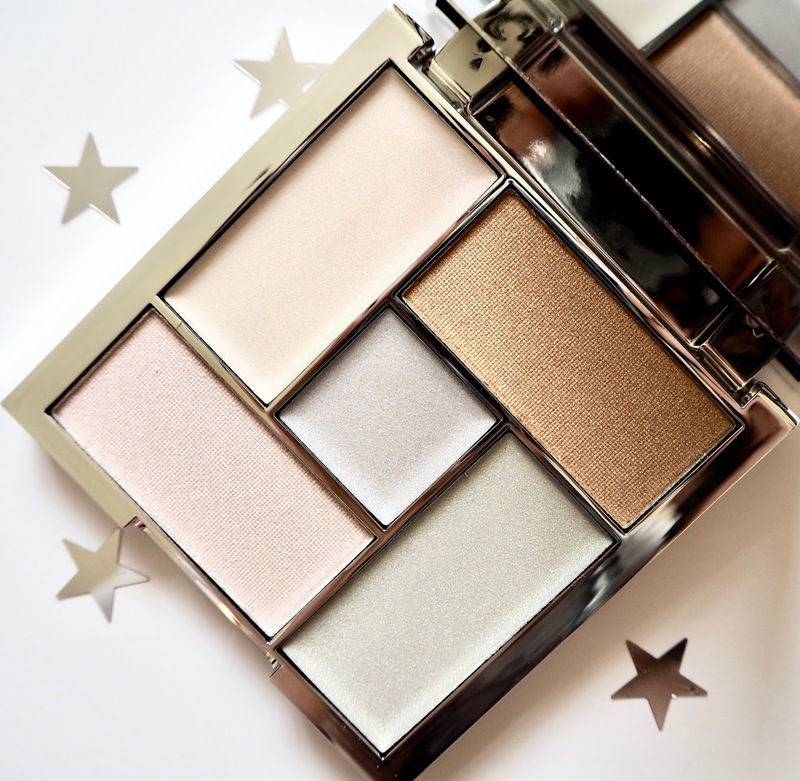 This design is a little different to a typical Sleek Highlighting palette, it features five shades instead of four and is square rather than rectangular. It still features the typical mirror type case but this time in silver which I think makes the palette look very, well, sleek! There are two powder highlights which are a striking pink, duo toned shade and a golden tone. The powders have a good amount of pigmentation and leave a nice glow to the skin but personally I prefer the baked powder formula that is in the Solstice palette, I find these look far more striking on my skin. After one application I did get a bit of a glow but I like an all out highlight most of the time so I did have to layer them up to get the desired result. The other three colours are in a creams where, again, you get a pink as well as a blue and green. 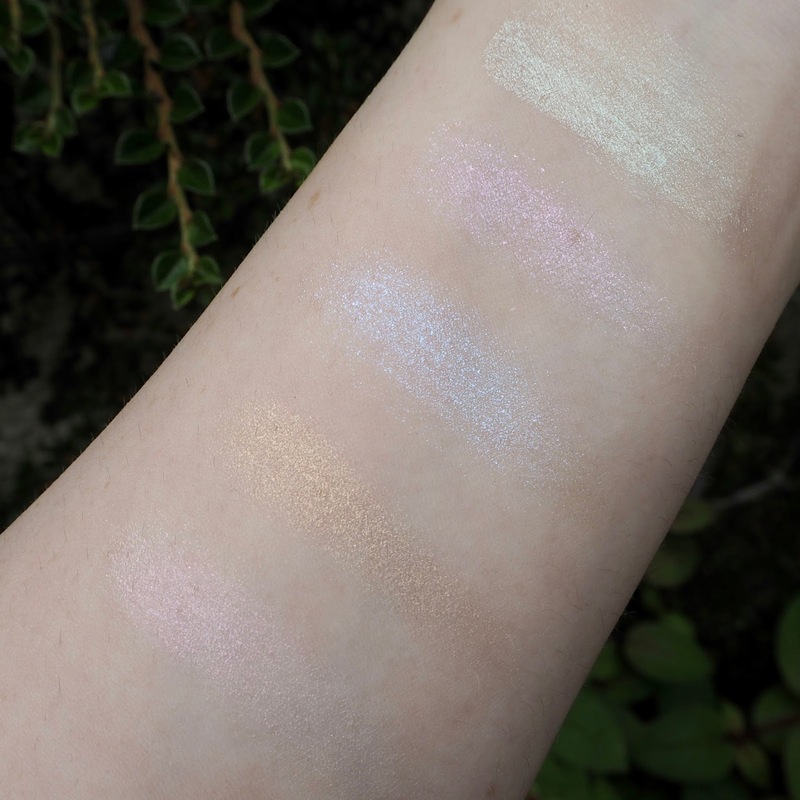 Whilst they look really pretty in the swatches below I just find that they look a little on the chunky side, almost appearing as a glitter rather than a highlight. Of course I can acknowledge how pretty this palette is and I've enjoyed playing around with it but overall I'm not a big fan. Green and blue highlights? Great for if you're creating looks for a fancy dress party or something like that but personally I just wouldn't wear these regularly enough to get my moneys worth out of the product. The two powder colours are wearable enough for day to day but I have lots of other highlights that I just know I will reach for more over this. It's a shame but this is a bit of a fail in my opinion, I'll stick with my beloved Solstice Palette as that can do no wrong in my eyes. Have you given this one a go? What did you think?